The sprawling footprint of LA can be a daunting yet alluring metropolis. Strip malls, endless four-lane boulevards, and vast suburban sprawl may be banal anywhere else, yet here they define the inexplicable magic and distinct vibrancy of an ever-shifting city. A city made of pocketed destinations, where the vehicle is the celebrated means of getting you to each one, the unfathomable size of LA makes it wonderfully hard to pigeonhole .The drive to the beach in Santa Monica to hit the waves? The drive up to Runyon Canyon to hike the hills? The drive to grab a burger at In-N-Out? Although these places can at times be a two hour drive from each other, they together define a diverse LA which wouldn't thrive if it differed in the slightest. Through all the driving to each destination, you can't help but get wrapped up in the nostalgia that is La La Land; picturing the streets that Frank Sinatra and Audrey Hepburn once roamed. That spirit reminds you that this is and has always been a place for dreamers, and where no goal is ever too far-reaching. When you venture down Hollywood Boulevard, the spirt of 1960's LA greets you with a blue and white series of undulations and a small red and white sign. Upon entry to the lobby, the furry textured walls and hanging bubble chairs make you feel as though you have been transported back to the 60's, where Elizabeth Taylor or Elvis Presley may have been enjoying a drink at what used to be the Thunderbird Motel. The hotel's first establishment is quirky and eccentric in its decor, and feels as though it has placed itself permanently in the 90's. The rooms overlook the vibrant pool, and their 'standard time' means you can pick and choose when to check in and out. Though the nearby Chateau Marmont may have a more historic reputation, it's here that all those celebrities of the millennia were free to let loose a little bit. Vibe / Timeless and modern hip that submerges you in 90's LA pool scene. Sqirl is an LA staple: an institution if you will. This tiny-counter for breakfast and lunch all came to be when Jessica Koslow initially started making and selling her incredibly sweet and satiating jams. What quickly grew into a cult following resulted in the opening of Sqirl. Local SoCal ingredients are front and center, and classic favorites such as porridges and brioche toasts are elevated and finessed with the likes of fresh ricotta and homemade jams. Ideal for the weekday morning pitstop when the lines are tolerable or for an early start to a Saturday morning to beat the inevitable crowd. The energy of young LA filmmakers, writers, working actors, and neighbourhood locals all feasting on sorrel pesto rice bowls and nut butter toasts is truly a rarity. Vibe / Delightful LA breakfast and lunch scene that makes a morning person out of anyone. Get lost in the lights of this sprawling city with an unprecedented view of the stars, which are not to be confused with the celebrity stars of LA. The drive to the observatory takes you up a winding road higher and higher until you reach the top: a magical vantage point that captures the entirety of Los Angeles. While the best time to visit is golden hour, right before sunset, don't be surprised when parking is at a minimum and tourists abound. Yet once you look beyond that, the sprawling expanse of twinkling lights and the endless horizon of the ocean is mesmerizing. With always free admission, this gateway to the cosmos and a peek through the telescopes is a humbling experience of the universe that would help take down the hubris of anyone in this starstruck city. Vibe / Timeless architecture on top of LA with delicate sunsets over the city. Some of the most exciting, distinctive LA food and drink establishments have amalgamated in this up and coming neighbourhood. Bound by gentle hills on either side, Silver Lake has a local, welcoming, and unpretentiousness to it that makes it feel like home. An eclectic mix of locally curated boutiques and independent coffee shops are paired with mechanics garages and strips malls, giving Silver Lake a diverse identity and strong sense of community. Often referred to as a hip junction in Los Angeles, an afternoon spent here meandering, eating and socializing with the local Angelenos proves to be a delightful way to enjoy the day. Don't miss local favourites Night+Market for fantastic Thai food, or Mohawk General Store for some worthy shopping. Vibe / Trendy east side hood with an array of great retail and local hospitality. Gjusta is a cross between a restaurant, coffee shop, deli and food-hall concept that is dishing out some of the most delicious food in Venice. Upon entry to the restored warehouse space, you are greeted by the lavishly curated morning treats from butter or baklava croissants, savoury buns, and crusty sourdoughs. As you continue to traverse the space, you will encounter the deli where exquisite sandwiches, sumptuous almond porridge, or savoury frittatas can all be ordered from the bustling kitchen. Once you pass the deli, pizzeria and coffee shop, you make your way outside to their intimate courtyard lined with string lights and linen tapestries creating the perfect setting for insightful conversations and indulging in good eats. Helmed by Travis Lett from nearby neighbourhood staple Gjelina, Gjusta is well known to be the place in LA where absolutely nothing disappoints. Vibe / Artisanal bakery and kitchen in industrial digs cranking out good provisions. Atop the Hollywood Hills, on a very narrow winding road is the iconic case study house number twenty two. Designed by Pierre Koenig in 1959, the house was part of the housing case study program which produced some of the most iconic architectural projects that defined peak-modernism in the city. 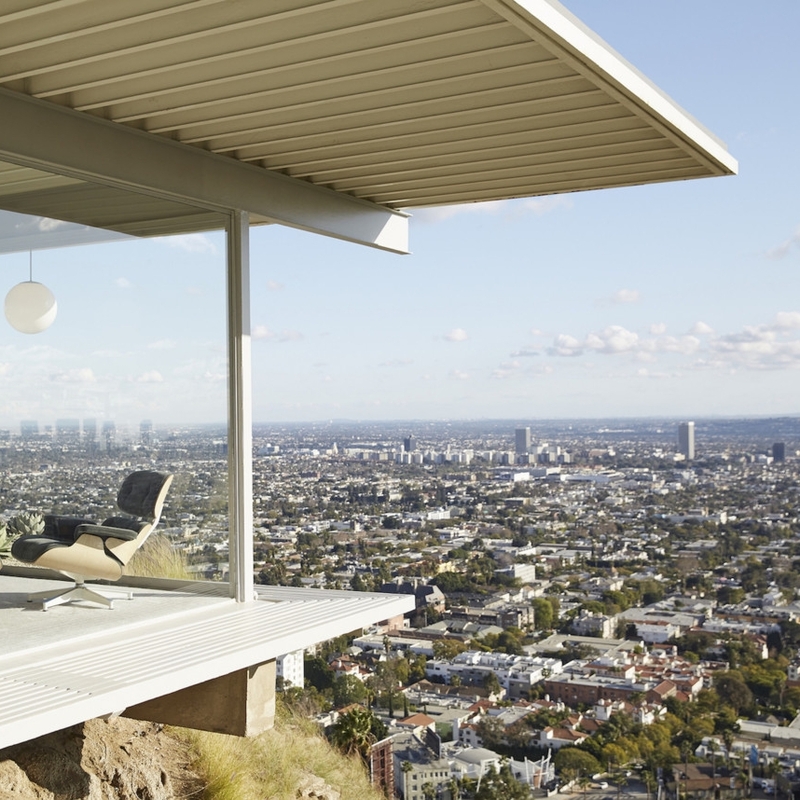 With a breathtaking view, the Stahl House is a clear and simple design as a means for 21st century living. Though designed in the late 50's, the timeless house still demonstrates that good design engages thought-provoking conversation. It is one of the most photographed homes and often the scene of many films and editorials. However, what is most interesting is that the home is still owned by the family and used often by out of town guests. A planned visit here rewards with not only the expansive view of LA, but most of all to admire the longevity and poise of timeless architecture. Vibe / Modernist and timeless architecture with 50's LA nostalgia. The recent resurgence of downtown LA as a cultural destination is manifested by this beautifully designed contemporary art museum, demonstrated by the queue outside every morning before it opens. With masterpieces from Jeff Koons to Ellsworth Kelly, the relatively small size of the gallery means you only need a couple of hours to relish in the rotating curation of works. The museum was designed by Diller Scofidio + Renfro Architects with the goal to capture the pure feeling of being immersed in a simple container that acts as a backdrop to the work on display. A gentle yet highly methodical envelope of precast concrete panels drape the entire building in stunning form while allowing diffused light to bathe the entire gallery. Empathetic design coupled with thoughtfully prominent art pieces makes for a splendidly curated experience. Admission to the Broad is free daily, just be sure to arrive a tad earlier to skip that daily forming line. Vibe / Public art museum and plaza impeccably designed and enveloped in a honeycomb-like veil. Food in Los Angeles is unprecedented and diverse. Yet despite this already vivid restaurant scene, one of the most anticipated restaurants to recently open along the west coast was undoubtedly David Chang's Majordōmo. Reprised from the Momofuku empire, comes a restaurant that offers an entirely different menu and cadence from the quintessential pork bun you would be used to seeing. With the premiere of his show Ugly Delicious on Netflix, you get a behind the scenes look at the cooking approach and subtle sensibilities that were key influences to Majordōmo. From bing breads and small sharing plates, to larger format dishes like the transcendent short ribs with melted Raclette, the entire experience is simultaneously revelatory yet wonderfully comforting. While the drive to Majordōmo can feel like you're heading to the edge of a LA, the experience that awaits diners is a direct demonstration of the melting pot of food in this beautifully multicultural city. Vibe / Innovative American cooking with Asian subtlety housed in a revamped industrial space. After moving from Burgundy to LA, acclaimed French chef Ludo Lefebvre soon garnered the attention of Jon Shook and Vinny Dotolo: LA restauranteurs and chefs known for their collection of hip eateries across the city. After collaborating on the upscale restaurant Trois Mec next door, Lefebvre wanted to create this place as an homage to the French bistros of his past. Don't be surprised if you have a hard time finding the place, considering the restaurant is located in an unassuming strip mall on Melrose that you'd easily overlook. But it's all part of the allure; in addition to the butter that wafts out of the door upon entry. Sitting at the bar with a plain view of the open kitchen, you are suddenly immersed in a classic French bistro with subtle nuances of a 90's disco-loving chef. The escargots are a standout, as well as the classic omelette which after one bite makes you realize you've never had a real omelette before. In a sea of lavish and forward thinking restaurants, Petit Trois has found its place in LA as the little jewel of a place where back to basics is the key mantra. Vibe / Quintessential Parisian bistro serving classic French fare in a grungy strip mall. If the Grand Budapest Hotel made you fall in love with Wes Anderson, Hotel Covell will make you fall in love with the city's mid-century modern past. A counterpoint to many of the larger and lavish hotels of the city, an emphasis on the fine details in a collection of just a few rooms is the main concept here. 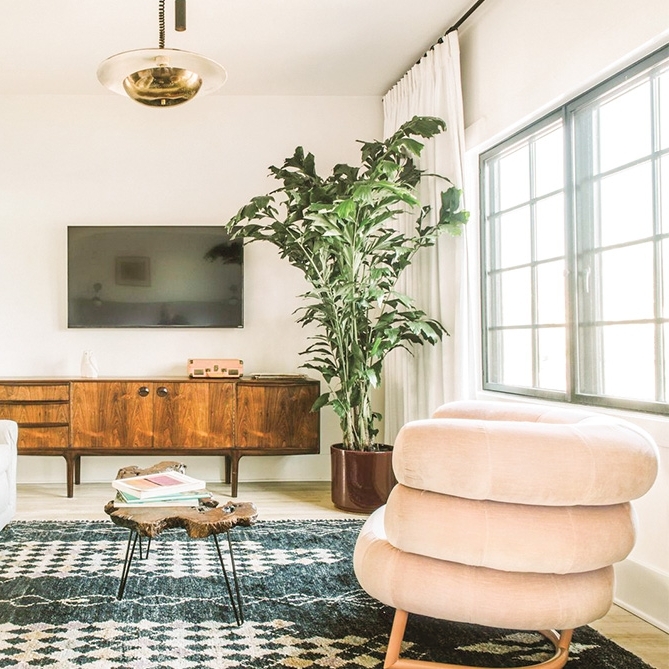 With a mix of mid-century furniture pieces, golden antique keys for each room, and an inviting retro-chic interior, Covell feels like you're staying at your trendy and design-oriented friend's house. Aside from the charming rooftop terrace and wine bar, the design and details of the hotel tell a story about its past and its location in the offbeat Los Feliz. With minimal yet monochromatic colour schemes, each room is designed differently. One with Parisian flare, another with Indian charm, the story may be written in the design, but it is the perfect opportunity to write your own ending. Vibe / Sophisticated boutique hotel that feels more like the dream apartment you've always longed for.